Like most people, I sometimes behave in ways that surprise and disappoint either myself or other people who are observing me. I’m occasionally dimly aware of strong under-currents of passion, that seem to have a life of their own. Of course I wonder to mysef, what’s going on? The anicent Greek Delphic injunction is “know thyself”. Modern writers use the phrase “Emotional intelligence” to cover some of the same ground. As these modern writers point out, people who are manifestly unaware of their own emotions are unlikely to be promoted to positions of major responsibility within modern corporations or organisations. 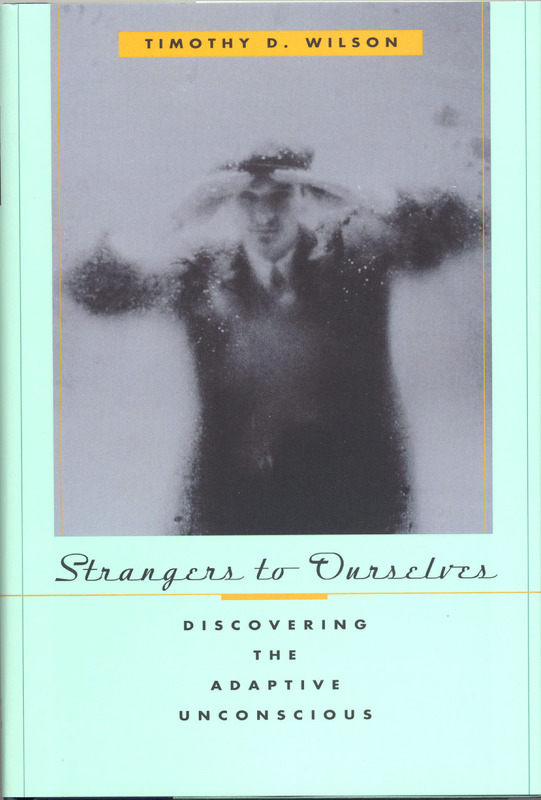 Timothy Wilson’s fascinating 2002 book “Strangers to ourselves – discovering the adaptive unconscious” takes a slightly different tack. Reading this book recently, I quickly warmed to its theme that – as implied in its title – our attempts to perceive and understand our own motivations can be a lot more difficult or counter-productive than we expect. Through many examples, the book makes a convincing case that, in addition to our conscious mind, we have a powerful, thoughtful, intelligent, feelingful “adaptive unconscious” that frequently operates outside the knowledge of the conscious mind. It can be just as inaccessible to introspection by the conscious mind as is the operation of our digestive system. Because it is inaccessible, we can often be misled about why we do things (subsequently “fabricating” reasons to explain our behaviour, without realising that we are deceiving ourselves in the process). We can also be seriously misled about what we’re feeling, and about what will make us happy. Experiments described in the book show how people, who in their conscious mind are sincerely unprejudiced against (eg) people of other races, can harbour latent prejudices that result in significant discrimation against certain job applicants. These unnoticed prejudices can even have fatal effects – if, for example, policemen have to react super-quickly to a potentially life-threatening situation, and mistakenly infer that (say) a black person is reaching for a gun in his pocket. Of course, psychologists such as Freud have written widely on this general topic already. 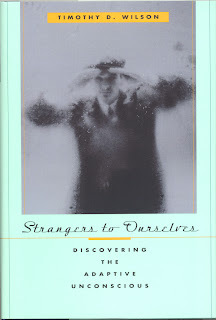 But the great merit of this book is that it provides a very balanced and thoughtful review of experimentation and analysis that has taken place throughout the 20th century into the unconscious mind. It puts Freud’s ideas into a fuller context. For example, it shows the limitations of the idea that it is “repression” that keeps the activities of the unconscious mind hidden from conscious reflection. Repression is indeed one factor, but it’s by no means the only one. The book concludes by urging that we follow another piece of advice from ancient times. He quotes Aristotle approvingly: “We acquire [virtues] by first having put them into action… we become just by the practice of just actions, self-controlling by exercising self-control, and courageous by performing acts of courage”. In short, “do good, to be good”. The book has struck a real chord with me, but it leaves many questions in my mind. Next on my reading list on this same general field is “The Happiness Hypothesis: finding modern truth in ancient wisdom” by Jonathan Haidt.